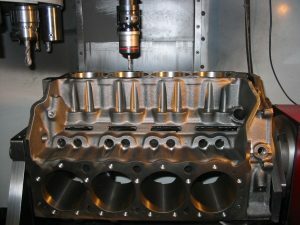 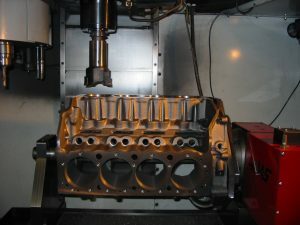 Probing decks, Cylinder locations, Deck heights and bore size this program is automatic for SBC, BBC,SBF and Iron Eagle raised cam tunnel blocks. 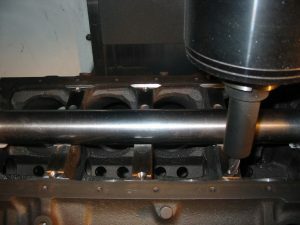 Boring cylinders to either Blue print or to pre-probed locations. 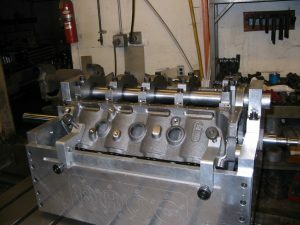 Boring lifter bores to Blue print locations. 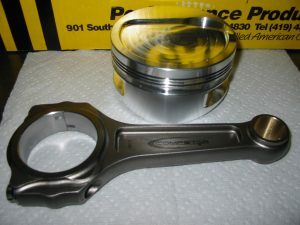 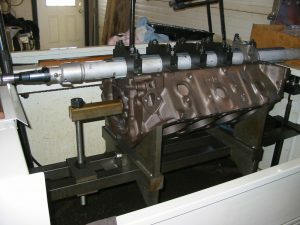 Hone lifter bore to size. 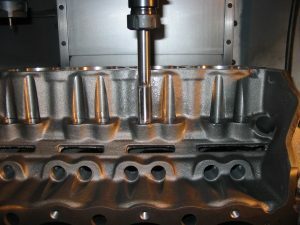 Register cut for flat bottom splayed caps. 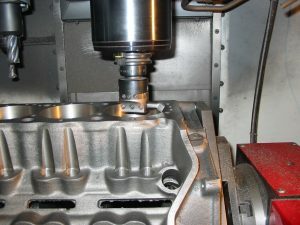 Drill using the Letter U drill. 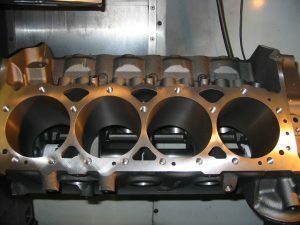 Decking a Corvette block and leaving the VIN numbers. 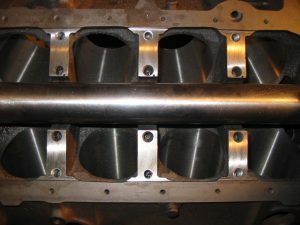 Line bore center main caps. 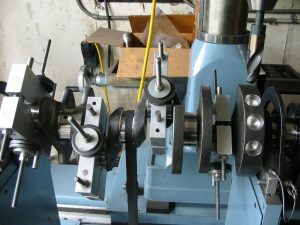 2 line hone set ups one at each shop. 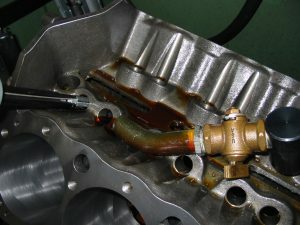 Line hone at 2nd shop. 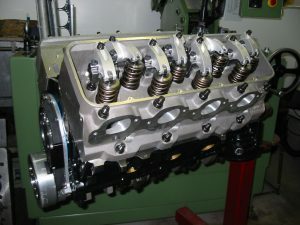 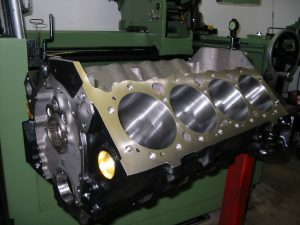 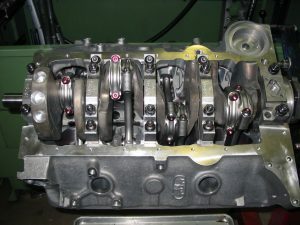 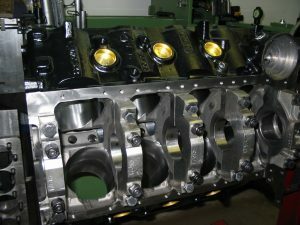 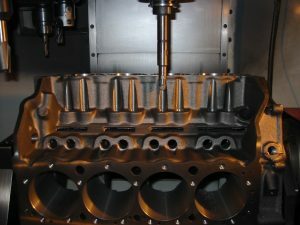 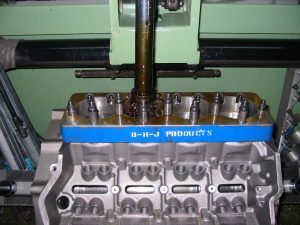 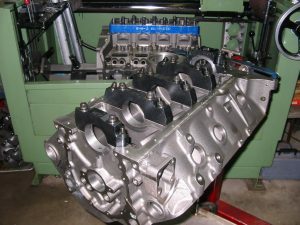 Line honing a 454 block. 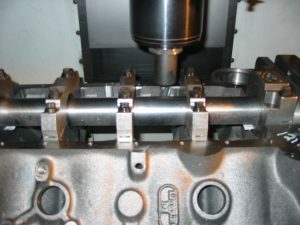 Line honing a cam tunnel Little-M block. 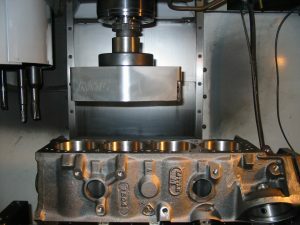 Blue print boring a cam tunnel Big-M block. 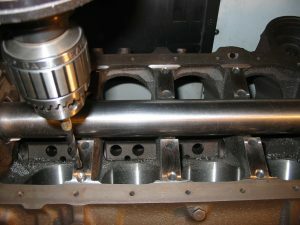 Honing the pin end of rods. 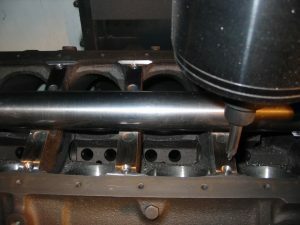 Sizing the big end of the rods. 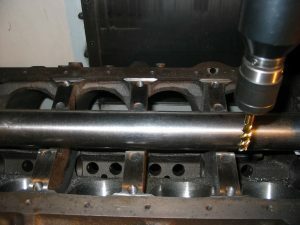 Checking rods for bend and twist. 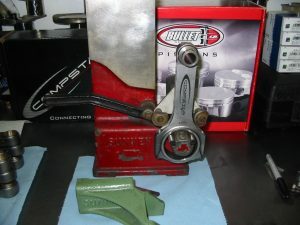 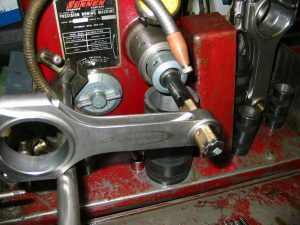 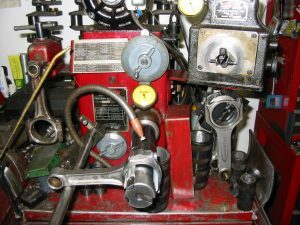 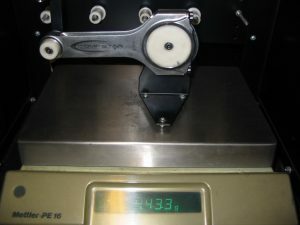 Balancing a crank in the Hines Balancer. 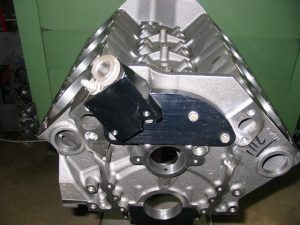 Fixture for drilling and taping for front oiler OEM block. 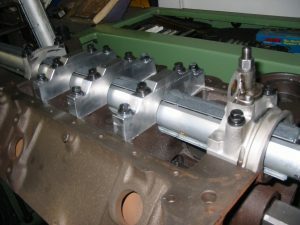 BBC Compstar I Beam and Blower pistons for a 540 build. 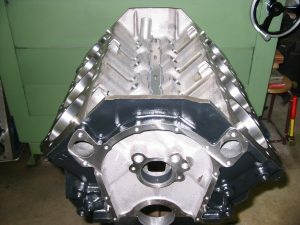 572 BBC with the Big Chief Heads. 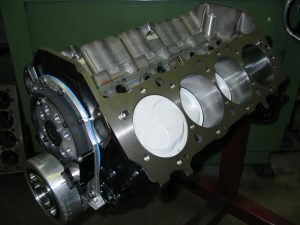 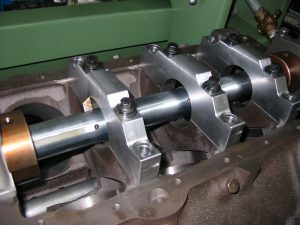 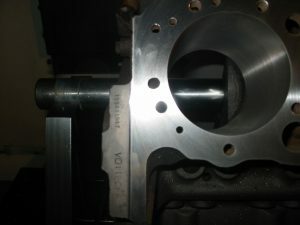 Bowtie block all machine 50MM roller cam bearings and .904 lifters. 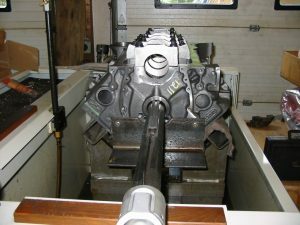 Showing the deck finish on an SHP block, notice the back cut. 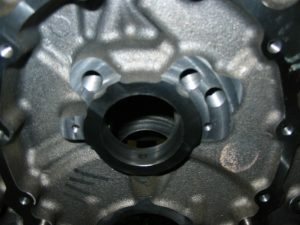 Circle interpolate around the cam tunnel for a belt drive.